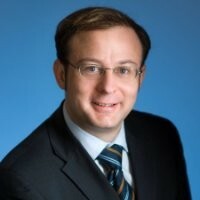 Ulrich Muehlner joined Novartis in August 2009 and is currently Head of Global Corporate Strategy a.i. leading the annual Novartis Group strategic planning cycle as well as key strategic initiatives ranging from areas such as emerging markets to new business development. Prior to joining Novartis Ulrich worked with The Boston Consulting Group (BCG) as a Principal focusing on serving clients from the biopharmaceuticals, diagnostics, venture capital/private equity and chemical industry. His project experience covers areas such as biopharma R&D, innovation, business model development, business transformation and value management, carve-outs and due diligences. Based in Vienna, Ulrich led projects across Europe, USA and Asia. Before joining BCG, Ulrich studied Biochemistry in Hannover and Munich and earned a PhD degree in Biochemistry and Molecular Biology based on his research on molecular mechanisms of blood vessel formation and signal transduction in oncogenesis at the Research Institute of Molecular Pathology (I.M.P.) in Vienna.